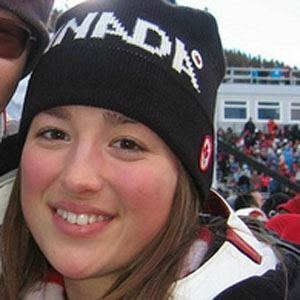 Freestyle skier who won a silver medal in the moguls at the 2014 Olympics in Sochi, finishing behind her sister Justine. She had her first international success in 2011, when she won a silver medal in the dual moguls at the FIS Freestyle World Ski Championships. Two years after her FIS Freestyle silver, she won a gold medal in the same event. Both of her sisters, Justine and Maxine, are successful freestyle skiers as well. At the 2011 FIS Freestyle World Championships, she finished behind only her childhood idol, Jennifer Heil.